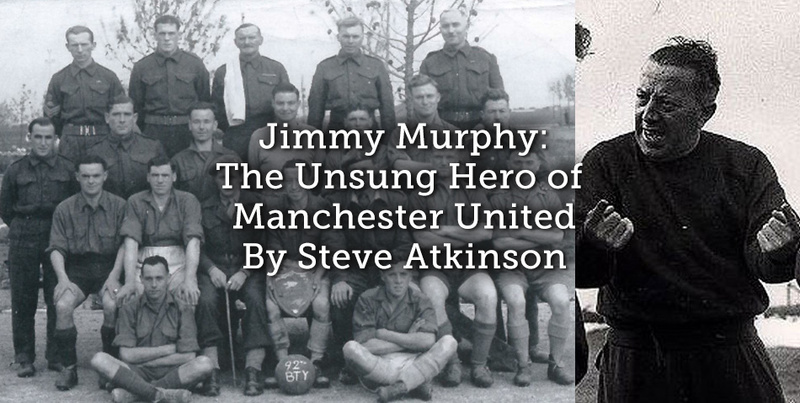 Jimmy Murphy will be a name not known by many but like most unsung heroes in sport that have been forgotten and live in the periphery, Murphy played a significant role at Manchester United Football Club throughout the 1950s and into the 21st Century. We may assume that while Murphy shied away from the limelight and media attention then so did his reputation and status in the game, and a younger generation of MUFC fans will not be aware of the impact and legacy he created for the club of the 21st Century that is a highly successful football, commercial and global institution. Murphy was an artist, he played the organ and piano as well as being a talented footballer – playing for West Bromwich Albion, Swindon Town Football club and represented the Welsh national team, later becoming the Welsh national team manager (1956- 1964). However, his football career was cut short with the outbreak of World War Two. 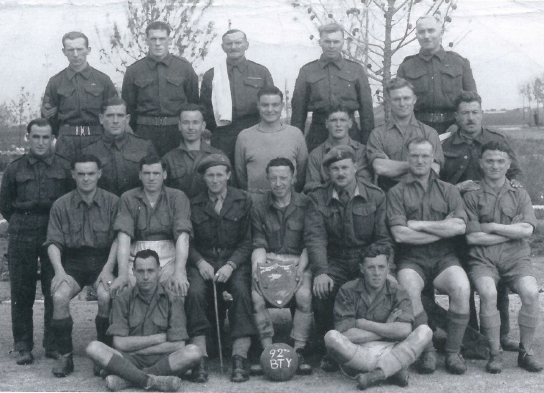 Towards the end of the war, Jimmy was a sergeant, stationed in Bari, Italy organising troop sports games and coaching clinics, when Sir Matt Busby offered him the role of Youth coach at MUFC, after witnessing Murphy giving a rousing and passionate talk about football and tactics. Busby and Murphy worked alongside each other from 1946 – 1976, a partnership which witnessed the transformation of the MUFC 1st team and saw it drift away from mediocrity into one of the most dominant teams both domestically and within Europe. 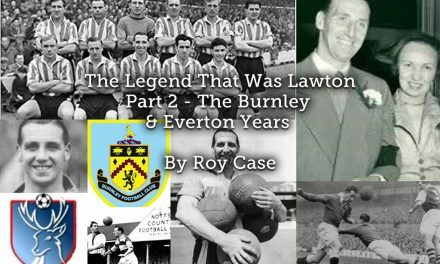 The pair saw triumph as they developed a youth structure that would become a conveyor belt of talent for the 1st team and tragedy as the Munich Air Disaster destroyed an entire team and a club. Murphy managed to keep the club afloat and operational after the death of eight first-team players and all the first team coaching staff, with the exception of Sir Matt Busby, who was critically ill in a Munich hospital. Murphy took control of all footballing matters and managed the club from 6th February 1958 until the end of the season. 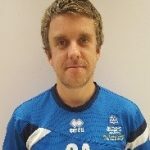 Remarkably, by utilising the youth team players he had been nurturing and augmented by just two new signings, Murphy stabilised the club, reaching an FA Cup final and the semi-final of the European Cup, an incredible feat for a man for whom the emotional attachment to those players who perished on that fateful day must have been overwhelming. The Munich Air disaster is a colossal part of MUFC history and each year those lives lost are commemorated, for both the tragedy itself and from the sporting context, the team dubbed the ‘Busby Babes’ was one with flair, skill and enormous talent, who were dominating the domestic game and looking to conquer Europe. For those without having a passion for sport and in particular MUFC history, then the assumption might be that the club survived the tragic events of Munich via financial resources and the type of vast pool of players and staff as prevalent in football today. However, in 1958 it was just Murphy and a cohort of young, inexperienced, nervous but ultimately, talented players that saved MUFC from the oblivion. The club was crippled, but with Jimmy’s motivation, character, aspirations and sheer determination to carry on, if only for the memory of those who perished, the club managed to survive and survive well. Jimmy Murphy is a peripheral figure at the club and despite having a media building in his name and the ‘Jimmy Murphy Young player’s award’, most supporters, from both sides of Manchester would struggle to recognise not only the name but the significant role he played. Many credit Sir Matt Busby for the rebirth of the club’s success, especially in winning the1968 European Cup, just ten short years after Munich. However, Murphy plays a leading role in the success prior to and after Munich, he is instrumental in everything the club is today, such as the youth structure and the tradition of giving young talented players an opportunity to play in the first team. Murphy scoured the country for the best talented British players that would suit MUFC. A tradition that is paramount in the club values of 2018 and demonstrated by groups like the ‘class of 92’, still present today despite the high-profile signings from abroad and the club have had a youth team player in every matchday squad since 1937. The number of players Murphy spotted, nurtured and developed at the time is a remarkable achievement, particularly if contrasted the financial fortunes being spent in the scouting departments and the vast resources clubs have at their disposal in the current climate. 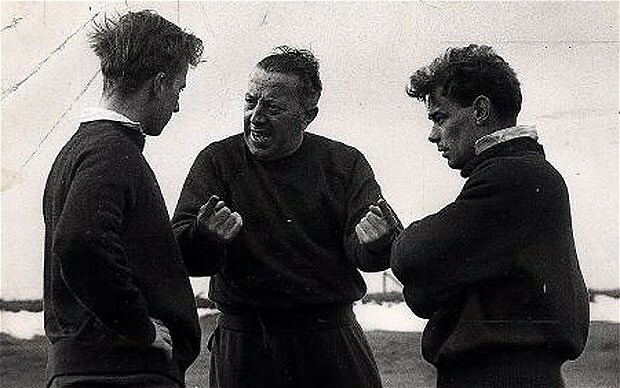 Sir Bobby Charlton, a World Cup winner in 1966 and European Cup winner for MUFC in 1968 wrote ‘that whatever I have achieved in football it is down to one man and one man only, Jimmy Murphy’. 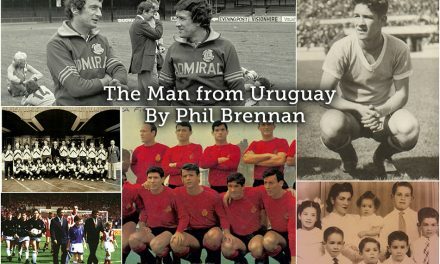 Murphy is part of Manchester United, Manchester United is Jimmy Murphy, without him, the club traditions, vision, and history could be extremely different from the one we know today. ‘Welcome to Third World Britain’: Sven-Göran Eriksson and the Death of British Football? Brilliant this piece Steve and a true reflection for many of us older generation of Manchester United fans. Well done and this deserves what I would like to hope is the air play and space it would warrant.